"London and Scotland voted to stay in the EU; Wales and the English provinces outside London voted to leave. The majority of the educated class voting to stay; the less educated to leave. Those doing well in their jobs and incomes voting to stay; those who felt they’ve been losing out voted to leave. Many more of the young voted to stay; old voting to leave." The DPM is also absolutely right in saying that the more profound questions about Brexit revolves around politics and not necessarily around economics, and is centered on the issues relating to the need for jobs and security, and a balance in immigration that preserves a sense of identity. 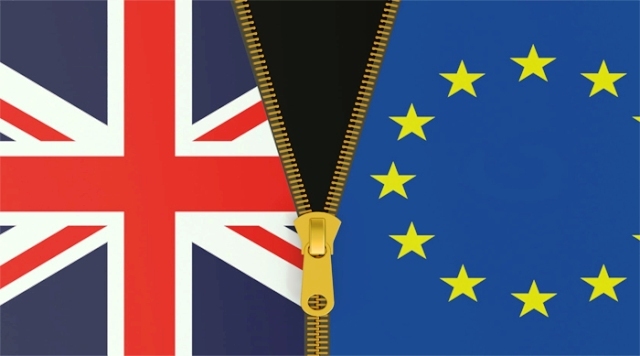 The British majority voted to exit Europe because they feel disenchanted with the establishment, and they feel that there is a need to disrupt the 'as usual' politics which has prospered just a select few at the expense of many others. Considering that the age of disruptive innovation is here upon us, Brexit is normal. This is how Wikipedia describes disruptive innovation: "A disruptive innovation is an innovation that creates a new market and value network and eventually disrupts an existing market and value network, displacing established market leaders and alliances." With disruptive technology (like Fintech challenging established banks and technology like Uber testing taxi companies severely), such innovations - at least theoretically - provide better outcomes for customers, making life that much better for them. By embracing such disruptive technology to fix real problems that they face, the people have given their support and trust to such disruptors. Where the governments of the day are perceived to be slow and laggard, only tweaking their policies a little to the left and to the right; and only when there is vociferous opposition to status quo, it is understandable why the majority will choose disruption. Results like Brexit are symbols of tacit support by the majority for disruption, in the hopes that such disruption will bring innovation to make lives better for them. Brexit sends a loud and clear message to the establishment and status-quo. It is quite natural for the leaders of entrenched-politics to label such disruptors as 'nationalists', 'demagogues' and even 'racists'. That is the tried and tested method of how certain leaders shame, divide and keep status quo in any society. But labeling is not going to make disruption go away anytime soon. Brexit may be the death knell on unrestrained globalisation which has unfairly benefited the well-heeled and the well-connected. Why should these people have the leg-up over the majority in a democracy? Brexit has forced first world governments to stop being laggards and respond quickly to the real needs of the people. Brexit has forced such governments to put the brakes on unrestrained globalisation and assess if it really benefits the citizens of their countries. If they won't, the majority will no longer be afraid to try uncharted disruptions. That is the Brexit message. And it has to be welcomed from that perspective.